The can do mindset and being empowered by the reality that the best possible outcome CAN happen. Being present in your mind by repeating mindful phrases over and over. The powerful galvanizing effect of making important decisions once. Feeling a sense of calling in life may not just come to you, but you might just have to choose it. Doing YOUR best rather than being THE best. 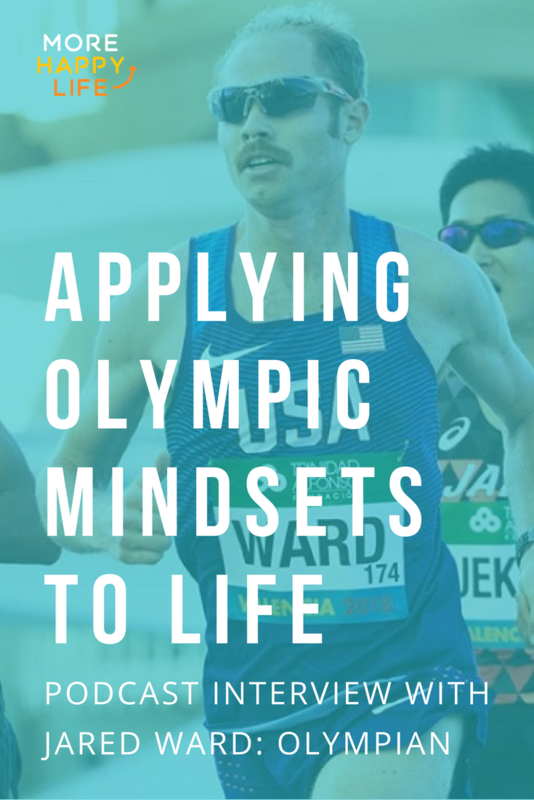 He talked about a “can do mindset” where he is empowered by the reality that it CAN happen instead of thinking about all the things that could go wrong. These pringiples were inspired by sports psychologist Craig Manning, and have helped Jared outperform himself, which Jared says is the key. Another powerful strategy Jared talked about was to focus on three things that went well during the race. As soon as the race ends, before any critiques, he thinks about three things that he did well. Then at the starting line of every important race, he focuses on these things instead of on the things he could have done better. 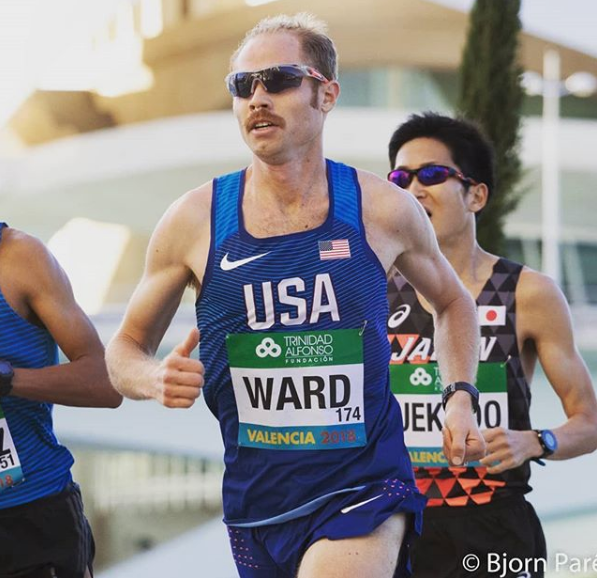 We talked about flow experience with regards to competitive distance running. He said this: “All the best races happen when all the other switches kind of turn off and I’m just racing.” This really reminded me of so many things that Mihaly Csikszentmihalyi teaches about the anatomy of flow. All the other switches turn off and you are just in the moment, fully engaged. Talent + (Mentors + Family/Friends) = SUCCESS. I was very impressed by how humble Jared was about his success. He talked about what he called the “scaffolding” of success. He said: “Our success is like a stack of Jenga blocks and if you take too many of them our, the whole thing comes tumbling down.” How true is that?! He said that he believed that he was dealt a royal flush in terms of being able to be a runner. He emphasized his relationship with God as “the biggest thing in life.” It is interesting how many olympic athletes draw strength from meaning derived from a higher power. I loved Jared’s conviction in this aspect of his life. It’s also cool to interview a fellow Mormon who also served a mission like me. 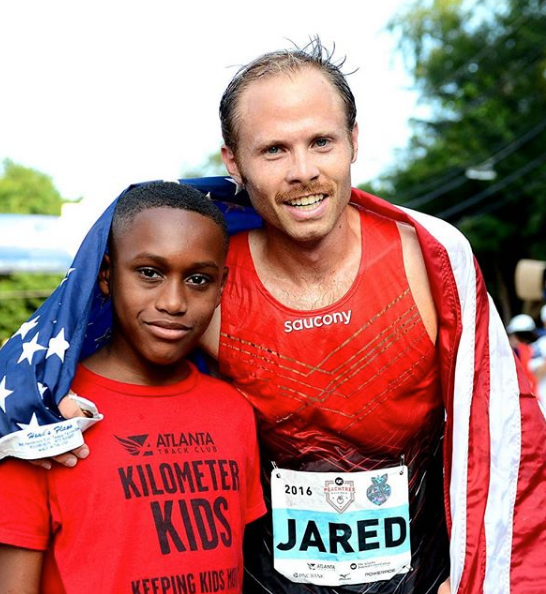 To follow Jared to the marathon podiums he talked about as his goals (and hopefully to the Tokyo Olympics in 2020!) find Jared on Twitter (@Jwardy21) and on Instagram (@Jwardy21).